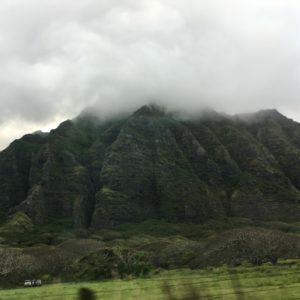 Leaving our Hawaii resort and climbing north into the mountains above Honolulu to the North Shore, coming out the other side of the tunnel and one immediately felt the dynamic barometric drop of the windward coast and timeless canyons and ridges vibrant with thick foliage. 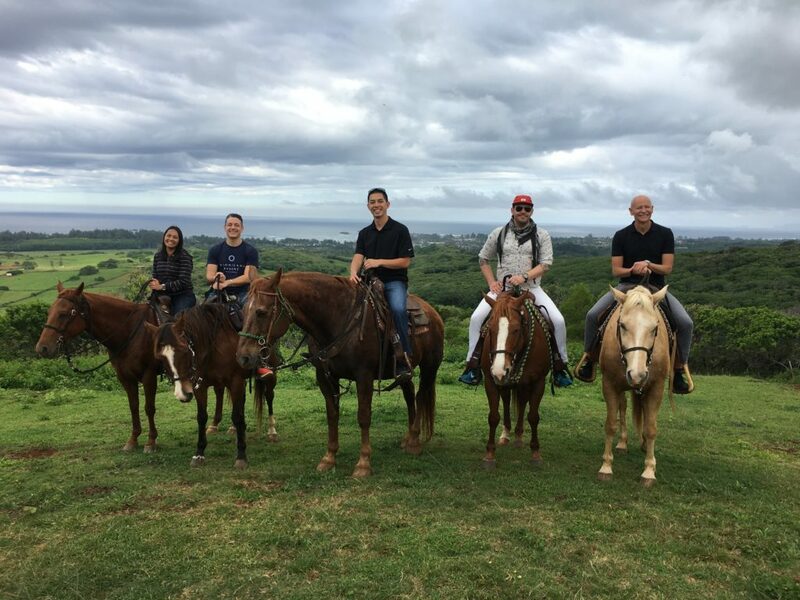 Past the picture postcard views, the food carts and their famous shrimp preparations, we wound and unwound along Kamehameha Highway toward Gunstock Ranch, sloping up gently toward the high country and dense forests. 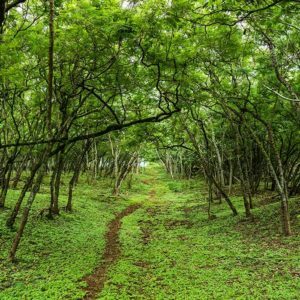 Enter Hawaiian Legacy Reforestation Initiative (HLRI) and their North Shore reforestation efforts at Gunstock Ranch. Together, the multigenerational family ranch and HLRI are working to protect native hardwood trees and their deep cultural and ecological importance by reclaiming indigenous habitat and reforesting these threatened areas with the koa, sandalwood and milo trees that thrived here for generations. We arrived at Gunstock mid afternoon. The heavy, sweet ranch air and offshore breeze seemed to dance around us under high clouds. Nelly was dignified and easy to talk to, already saddled and ready to ride. Horses teach you what they want if you listen. Together the group started through the pastures, ranch workers narrating the history of the area, its flora, as well as the story of Gunstock Ranch itself. The work they do together with HLRI, peppered with ephemeral notes as we passed concrete hillside bunkers left over from the war that the jungle patiently reclaimed. As we gained the advantage over the ocean, we cut back and into gradual trails bowered by trees gently rustling with breeze. We learned the history of the land as we crossed it, traveling deeper inland as we climbed, the coolth of the air slowing time until the woods opened back up and we came out on an open rise looking back down onto the ranch and the great ocean beyond. We sat our horses. A cowgirl led us past a solitary old memorial tree as we worked our way into the field where we’d be bound to the earth through the trees we planted, trackable from anywhere in the world, together with others who made the journey, planted their tree, relaunching a forest with a small nudge of water, soil and a meditative moment of sacred reverence. After the planting ceremony a beautifully restored Pinzgauer—a canary yellow 6×6 recommissioned troop carrier, upgraded and ready to go truly anywhere—lifted us back to the ranch as Nelly and the other horses were put out to pasture. Sunlight waning. Cold drinks. We got tracking information and commemorative literature, everything we’d need to track our trees’ progress, the forest’s return. We can come visit anytime and see our tree, rising with its ilk into the future. We can return to plant another one, dedicate it to a world where native forests and habitat are loved and protected like a grandchild, a legacy for some unknown generation that needs to know the power and grace of nature. 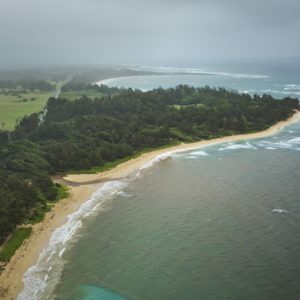 You can have your own legacy tree experience on the North Shore with HLRI by horseback, by UTV or by helicopter during your stay. 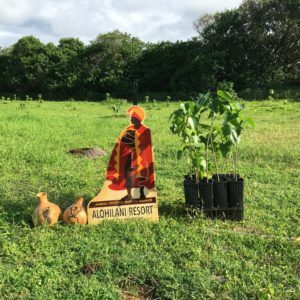 To learn more or book your own authentic Oahu adventure, visit ‘Alohilani’s North Shore Tree Planting Tour.